We are pleased to introduce ourselves as one of the leading business establishment engaged in the manufacturer of well-known Sonex GROUP Digital Floor Tiles, Wall Tiles and Sanitary ware products. Our manufacturing facilities and corporate office are based at the ceramic hub of Morbi, Gujarat, India. Presently we have large product range of more than 250 designs in Ceramic Digital Floor Tiles, Wall Tiles, Vitrified Tiles and Sanitary ware product. Our factory is ISO certified company. We have very strong market in India and abroad under the name of ‘SONEX’. 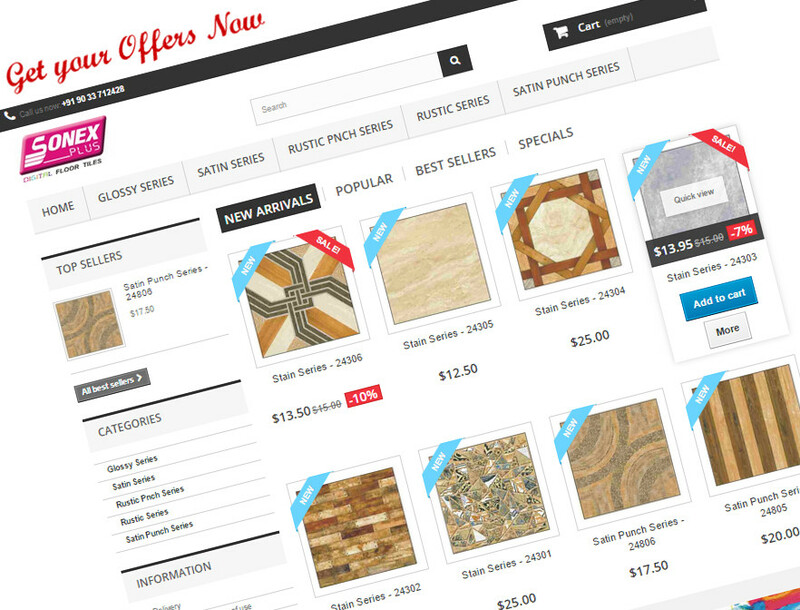 We provide strong, durable and quality Digital Tiles. In the pursuit of providing quality products, the company undertakes different research and developmental activities on an ongoing and continual basis so as to provide value added products to our customers and clients at competitive rates. We intend to have long term business relationships with you on mutually beneficial terms. Towards furthering this, we request your support and ask for you to contact us for your future requirements in the range of products in which the company is presently engaged.